WASHINGTON—Announcing their findings amongst a series of whimpers and yelps, pet researchers confirmed Friday that 100 percent of owners who leave for work are never coming back. “Our data show conclusively that every human who says they’re going to work is, in fact, gone forever the very moment they shut the door behind them,” said a West Highland terrier named Nugget, adding that the findings applied equally to trips to the grocery store or the movies, both of which represented a decision to leave and never return again. 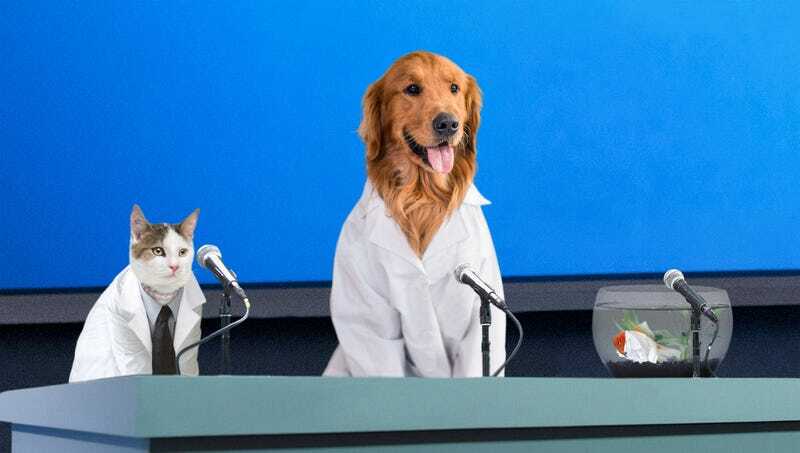 “In fact, any instance in which an owner scratches a dog or cat on its head and says, ‘Be back soon, buddy!’ before exiting the house is a certain indication that the animal has been left to fend for itself and will eventually die unloved beside its empty food dish.” At press time, an elated Nugget danced on his hind legs, reporting that 100 percent of owners who pull into the driveway at the end of the day came back for their pets after all.